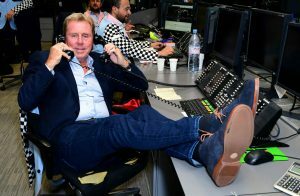 Harry Redknapp is a red-hot 1/3 favourite to win I’m A Celebrity… Get Me Out of Here 2018 as the show heads into its final weekend, but the poor record of stars from the world of football, not to mention those of pensionable age, suggests he should be opposed in the betting. Former Inbetweeners actress Emily Atack is next shortest in the outright odds at 9/2, followed by 8/1 shot Fleur East of X Factor fame, Dr Who faces John Barrowman (14/1) and Vamps guitarist James McVey, the outsider at 20s. Who could’ve predicted that ‘Crazy Gang’-era Wimbledon centre-forward John Fashanu’s silver medal behind cricketer Phil Tufnell in series 2 would remain the best performance in the show’s history by a contestant primarily associated with football? The best any player has done since was former Newcastle winger and tabloid fodder Kieron Dyer’s fourth place in the show’s 15th edition, with Wayne Bridge finishing fifth in 2016, Dennis Wise sixth last year and Neil Ruddock and Rodney Marsh both carding sevenths (series three and seven). Jimmy Bullard was a pre-decampment favourite in series 14, but got bounced in 10th, while even those most famous for being football WAGs have failed to fire, with Alex Best (ex-wife of George), Sheryl Gascoigne (formerly Mrs Paul) and Joe Cole’s then-fiancé Carly Zucker falling by the wayside. What have the viewing public got against former players and those who love them? It’s enough to make you think about betting against the midfielder-turned-manager as the battle for jungle supremacy reaches its crescendo. Unlike his managerial career, the Jungle has been no walk in the park for Harry. Redknapp will also be rubbishing a fairly substantial age trend if he wins this year’s popularity contest as, at 71, he’s some 12 years older than the previous oldest winner, Tony Blackburn. The radio DJ struck in series one, when aged 59 and is one of only three past victors to have their forties in the rearview mirror when landing the odds, along with Christopher Biggins (58) and Carol Thatcher (52). Star Trek actor turned social media pontificator George Takei did hit the frame at the same age as ‘Arry in series eight (third), but 28 other celebrities aged 60 or older have appeared in the show, with only Kim Woodburn (67) and David Emanuel (61) claiming so much as minor medals. Will Fleur East land our pre-show I’m A Celebrity winner betting prediction? Run your mince pies over the ice-cold logic that led us to tip up Fleur prior to the start of the series. She’s now an even better price, despite reaching the last five. Click here to create a William Hill account; we’re offering new customers £30 in free bets when you bet £10 on any of our markets, including the celebrity specials.